Detailed instructions are supplied with all kits, however you can also download a copy of them from the bottom of this page! We prefer the roller method ourselves as it requires minimal masking as apposed to the spraying, and gives the same overall finish without having a gun to clean afterwards! As crazy as it may sound, our most recent show truck was painted with nothing more than a 4" gloss roller & paint brush. No expensive spray tools, or anything needed... Just a bit of imagination, our paint kits and some rollers!! The truck as you can see, had zero patina or character. It arrived from Texas covered in filler and a bad paint job... 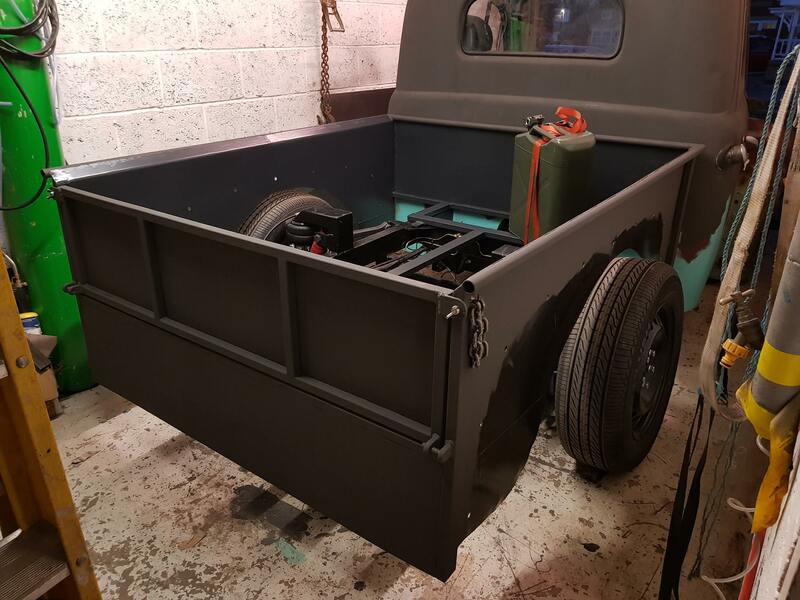 Following 5 months of extensive metalwork, the truck was ready for a protective anti corrosive layer of Rustypaint. Start with a clean panel or project. Sand the complete project to 'key' the surface, and then fully clean your project prior to paint. The paint was then left overnight to cure. 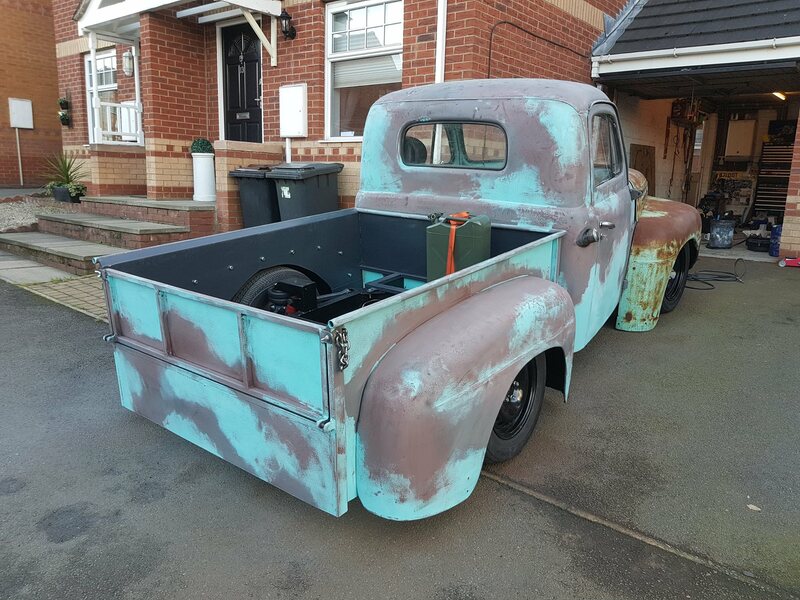 The following day (once the Rustypaint has fully cured), you can then add a layer of colour, to give a cool patina finish... 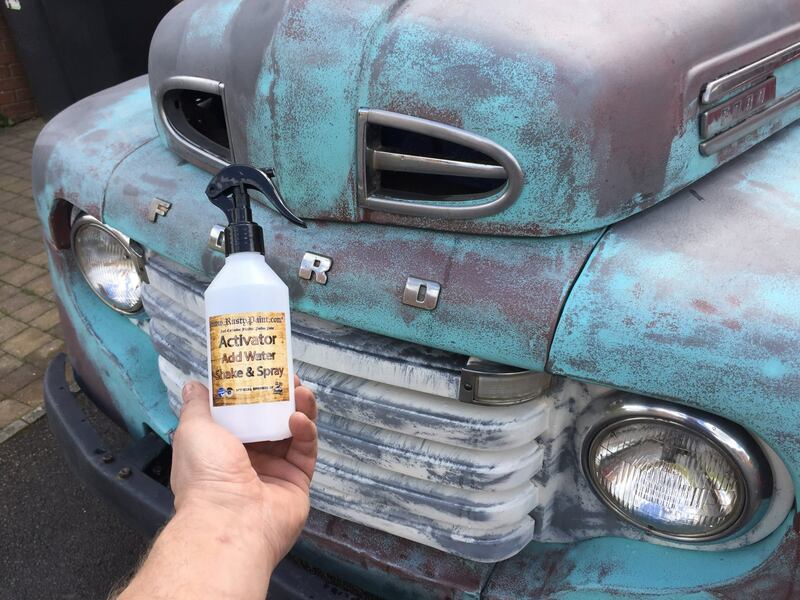 This can be applied directly over the top of dry, cured and un-sanded rusty paint. This can be a professional 1k or 2k paint, including enamel, roller-able paint, spray cans (inc graffiti paint) etc. 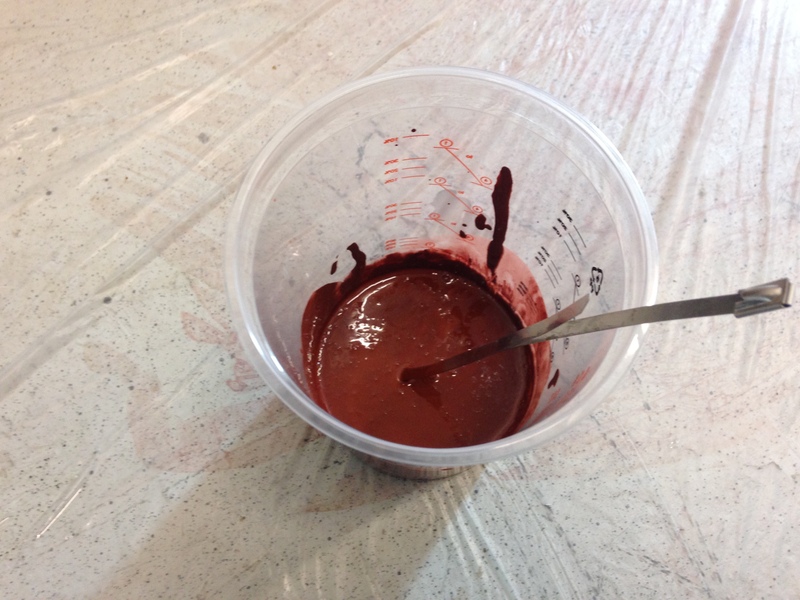 The colour coat will need to dry and fully cure - as per thesuppliers paint instructions. Once the Rustypaint has cured (and any optional colour coat), it is time to sand and activate the paint. Sand the paint with coarse sandpaper (around 120/240), followed by a good hard scrub using a couple of scotch-brite pads. If you are using a colour like we did... You should feather the edges of the colour into the Rustypaint (to create a natural blend & remove any hard edges). 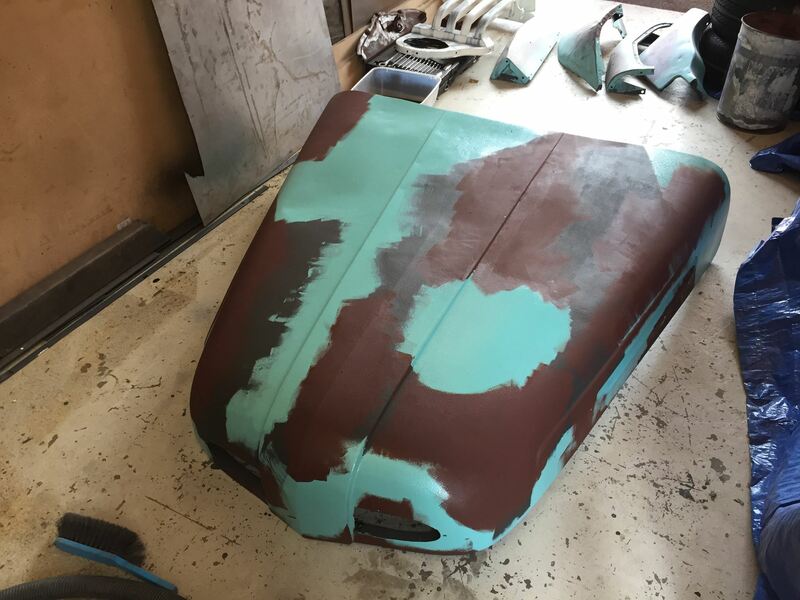 The colour can be sanded off & sanded through lightly, to expose the Rustypaint underneath. 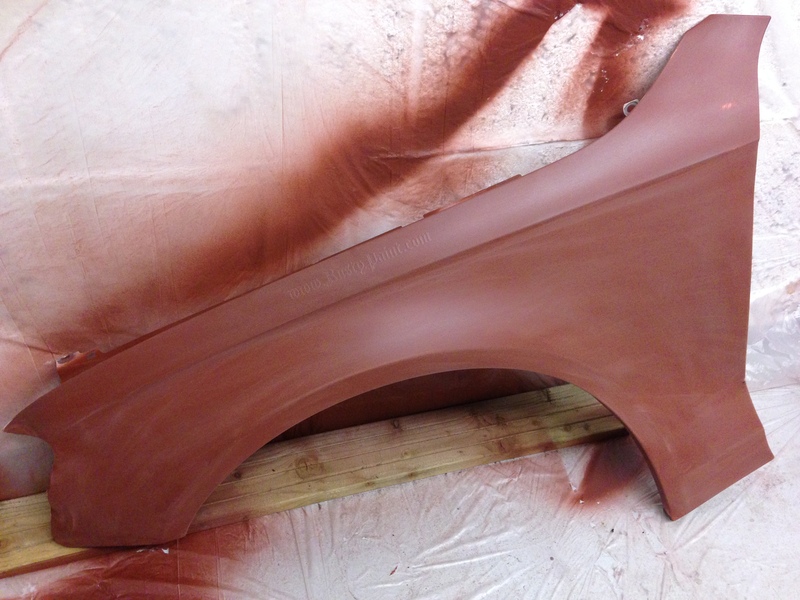 Once sanded, you should notice metallic shiny specs in the paint, with the whole project having a good sheen to it. Once you are at this stage, thoroughly clean and de-grease the project, and apply the supplied rusting activator. With this project we use a cheap spray gun and small home air compressor, however the paint can be applied with a roller or paint brush. Leave the paint to dry overnight. 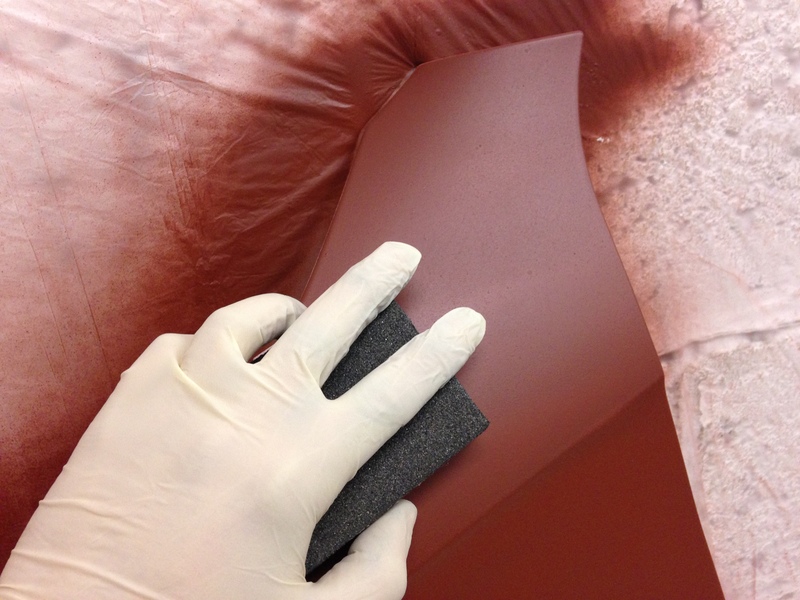 Sand the paint with coarse sandpaper (around 120/240), followed by a good hard scrub using a scotch-brite pad. 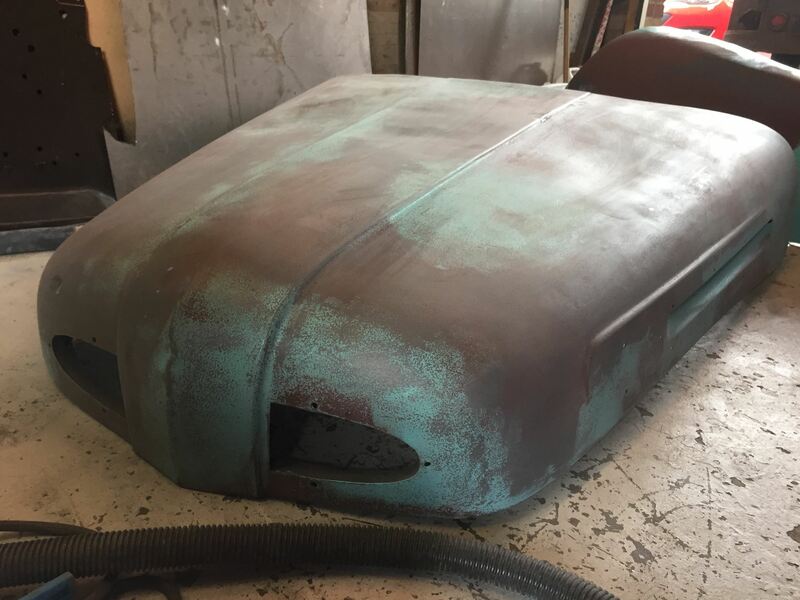 Once sanded, you should notice metallic shiny specs in the paint, with the whole project having a good sheen to it. Once you are at this stage, thoroughly clean and degrease the project, and apply the supplied rusting activator. Video guide from start to finish! 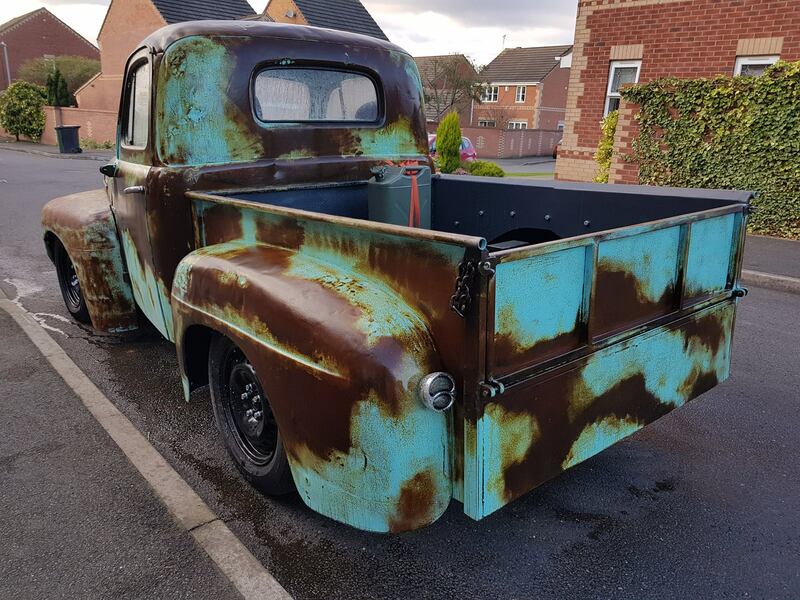 Rusty Paint is an imported anti-corrosive flexible paint, which contains a special triple mix of fine metal fragments enclosed within a specialist solution. 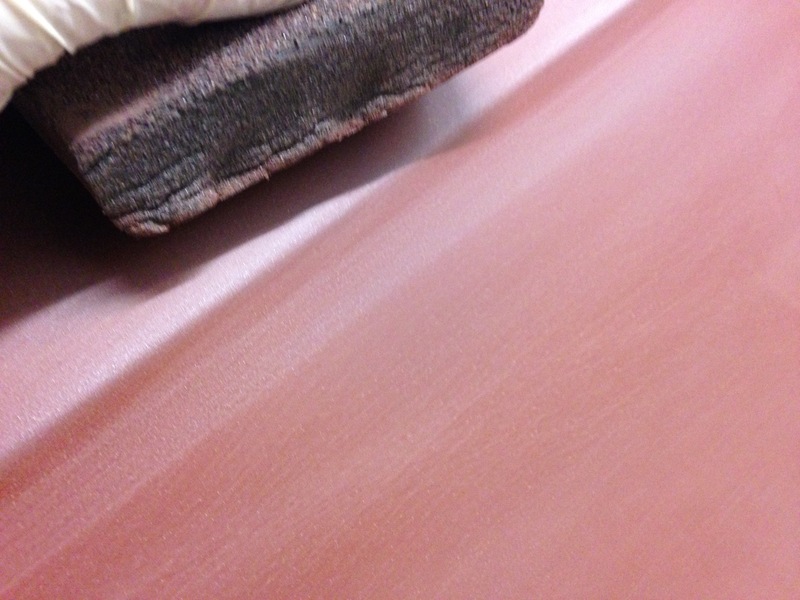 This paint is applied by a roller, paintbrush or spray gun and left to dry. Once cured the top surface is sanded to expose the specialist fragments, which when exposed to the elements, create real rust. 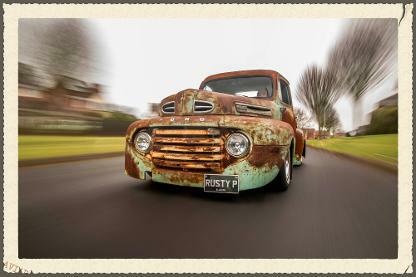 The rusting process however can be sped up significantly by applying our special rust accelerator. The product can be layered and applied in a textured format to achieve a desired finished result. All our paint kits have coverage of 5sqm per litre. A small hatchback car can be painted in 2ltrs, and a van sized vehicle in 3-4ltrs. 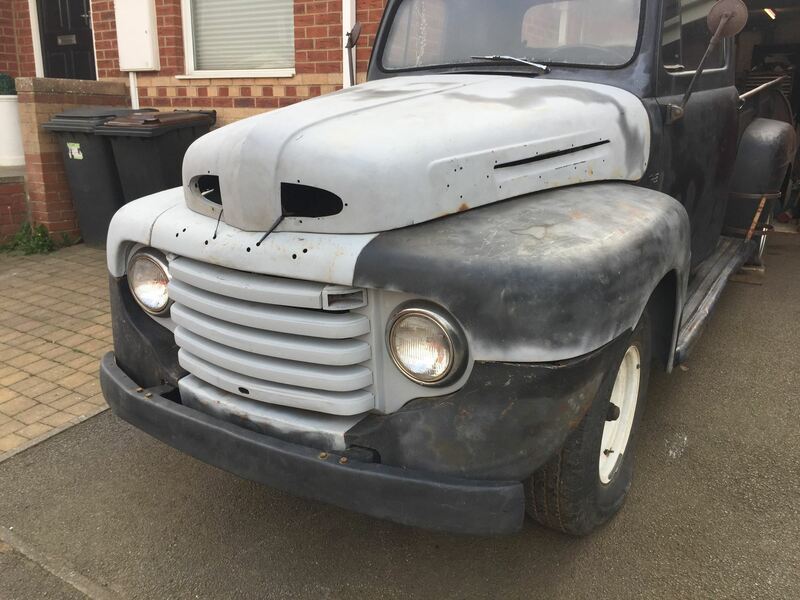 What does it look like when compared to bare metal rust? 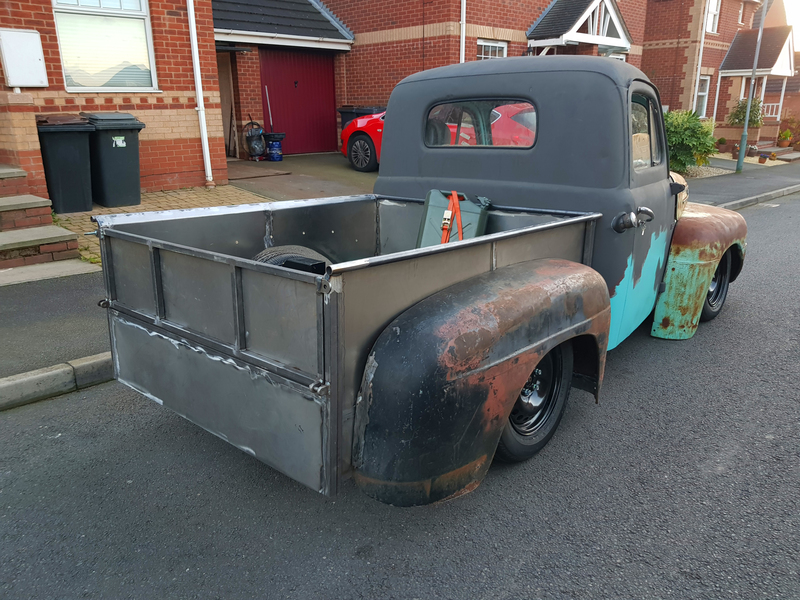 We get people mistakenly thinking our paint looks different to natural bare metal rust, however our paint really rusts on the exposed surface, thus making it look no different to bare metal rust! All surfaces require a quick 'roughing up' with some sandpaper followed by a degrease with either a panel wipe, or warm soapy water. No - Our paint requires no sealants, clear coats etc, and can be washed as per any normal paint (jetwash, etc). Can it be clear coated over? 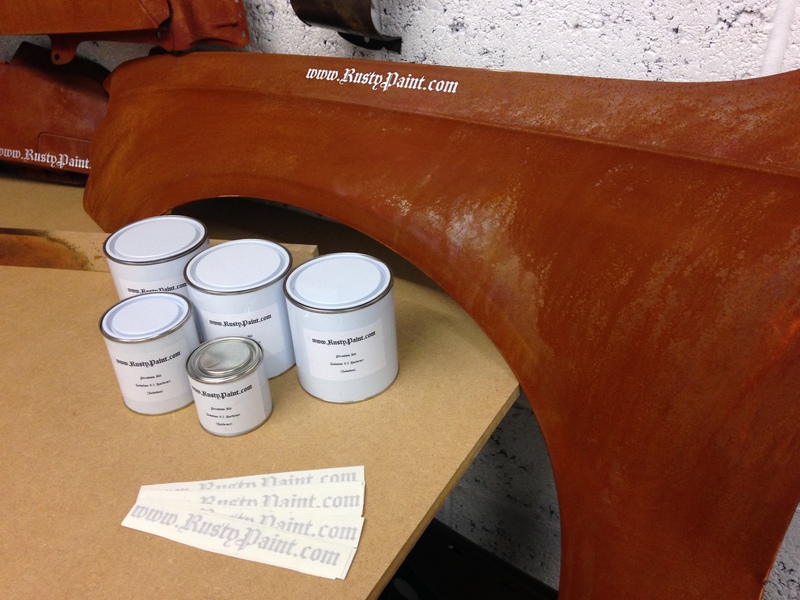 Yes - We have had many customers use varnishes and automotive clear coats on their projects. Is it just a paint with metal iron in? No - Firstly iron filings would not work if being added to a standard paint, due to standard paint not being able to suspend the metal due to the differences in weight. 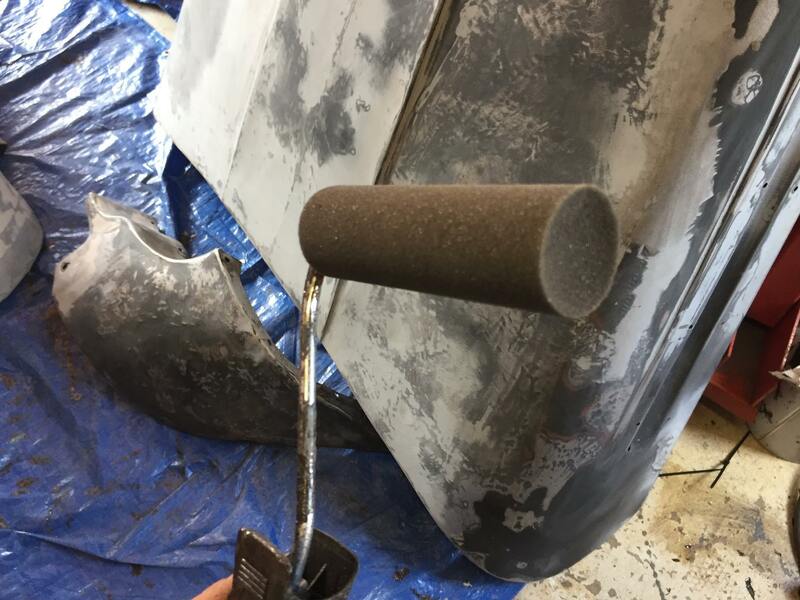 If iron was simply added to standard paint, you would have great difficulties applying the product to a surface (as it wouldn't pass through a spray gun, and would clump on a brush / roller). There would also be potential of the iron rusting within the paint itself, prior to any application, thus making it unusable! Our paint has 3 types of particles within it, specially designed to work with a modified specialist paint, mixed with two other products, and then imported directly in the states. You can rust anything which is clean, free from any grease or silicone based products, and scuffed / keyed. Things we have rusted include wood, plastic, metal, painted surfaces, primed surfaces, trainers, glass, mirrors, etc. It's more a case of what can't you rust!!?? We only advise you to test the product on your item prior to committing to a full coat! Yes, all of our kits are extremely flexible, unlike some other sellers which are selling spray can paints, or resin based kits which sadly, are not flexible at all!! Please see the above videos for a comparison! Why has it not rusted? This is not really a frequently asked question, but from time to time we do have the odd person which may be struggling to follow the instructional steps. The ONLY reasons which would prevent the product from rusting would be mixing, sanding or degreasing. The product requires thorough stirring before and after adding hardener as per label instructions as there are a lot of ingredients in our paint which can settle at the bottom of the can. Secondly the sanding needs to be done as per the above videos, the videos will help explain what you are looking for with regards to 'colour change' 'specs' and 'sheen'. 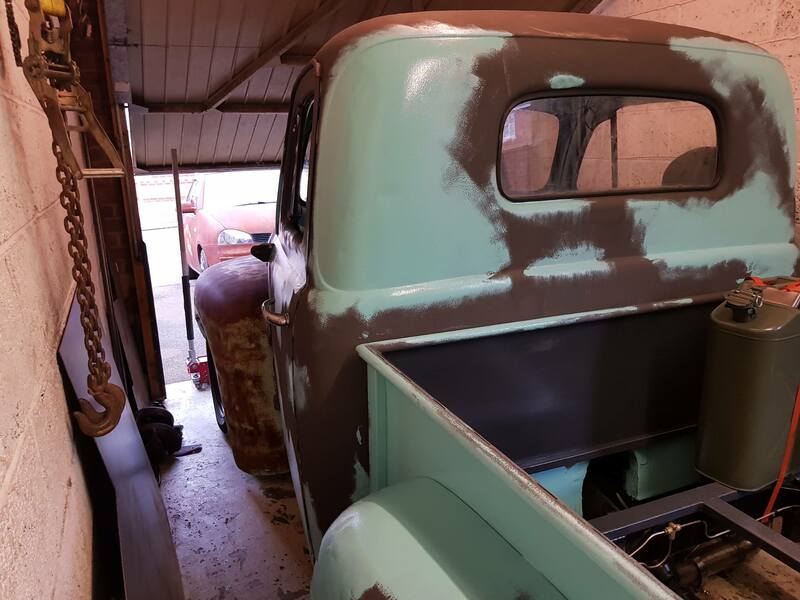 Finally, if the project hasn't been fully cleaned and degreased after the final sanding, any left over sanding dust will prevent the rusting process (due to the paint having the anti corrosive protection properties). All the above problems (apart from the initial mixing), can be rectified simply by revisiting the simple instructional steps.